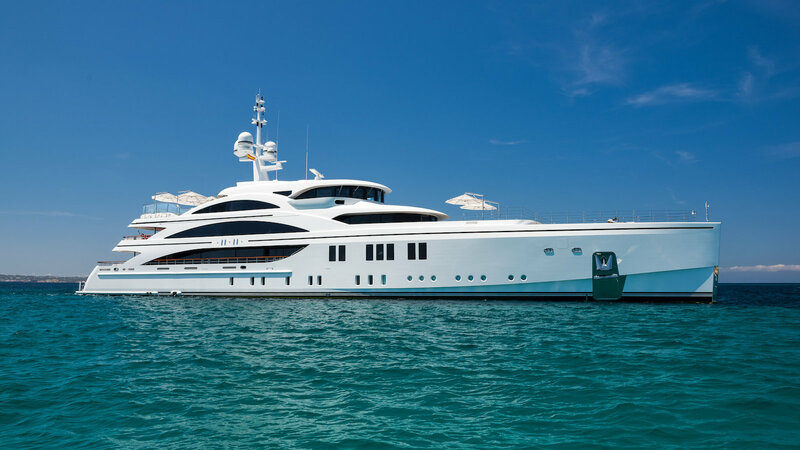 The award-winning 63m superyacht 11.11 is built by Benetti Yachts and has received acclaim for her distinctive axe bow, high quality interior and technical capabilities (World Superyacht Award Winner 2016). The external aspect of this four-decked steel and aluminum yacht is streamlined yet muscular and is purposefully designed to deliver enhanced cruising performance and comfort. Her bespoke, art deco-inspired interiors designed by the owner’s personal design team, provide all the luxury of the most well-appointed residential home. A unique feature that sets 11.11 apart from its contemporaries is its entirely private owner’s outside deck, which can be accessed via the Master Suite or outside walkways. It stretches all the way to the bow of the yacht maximising every inch of space and benefits from uninterrupted views out to sea. More about Luxury Yacht Charter here.